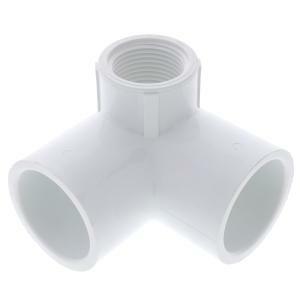 This is a Schedule 40 PVC Slip x Slip x FPT Elbow with 90° side outlet. Use when necessary to make 90° turns in several directions. This fitting has slip connections on two outlets and female pipe thread connection on the third outlet. Slip connections require primer/glue.